Yes, you can eliminate your eye floaters starting today with this simple but effective, six-step process. It took over four years for the author to discover the solution to removing floaters from her life. 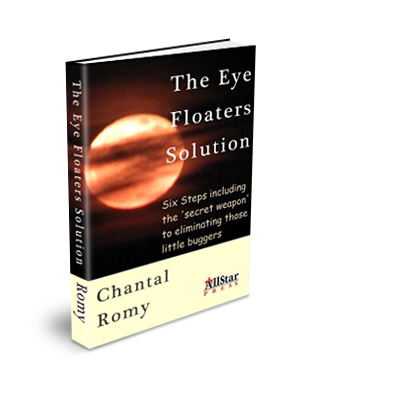 The key is what author Chantal Romy refers to as the 'secret weapon,' an incredibly easy-to-apply solution for nagging eye floaters. The beauty of this process, too, is that you can begin applying these steps the day you download this e-book. If you have floaters you can't afford not to read this incredible book today. Published by All Star Press.